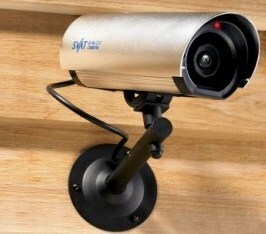 We have all heard about “home security cameras” that record what is happening in our home while we are gone. Some are made where you can watch on your phone what is happening in your house at that very minute. The word “security” has different meanings but basically it is measures taken as a precaution against theft or espionage or sabotage, etc. People and businesses spend a fortune to protect what they own every year. Many times when NEGATIVE things happen in our lives and our marriage, we feel so alone. We feel like nobody knows our sorrows and nobody cares. The truth is that God knows and he cares about everything that is IMPORTANT to us. Hagar, a pregnant Egyptian slave, was mistreated by her mistress and she ran away into the desert. The angel of the LORD came to her at a well in the desert and told her to go back to her mistress and obey her. Also, that she was going to have a son who would grow and have many descendants. There is an important reason why I have told this story. You may be in deep stress involving a problem in your marriage. There might be something that you cannot tell anyone about and you are in DESPERATION to have it resolved. This is exactly the position that Hagar was in and God told her to go back to her mean mistress and for her to be obedient to her. When I first read this, I was so distressed that she had to go back to her master who had violated her. You have to know that God has a plan to BLESS your life and for your marriage. If God’s eye is on the sparrow, His eyes are certainly on you. Never accuse God of abandoning you. You need to become aware of His PRESENCE in your life. No one seemed to care about Hagar and her unborn child enough to monitor her progress in the desert—no one but EL ROI. There is no worse nightmare for a woman than to be pregnant, in poverty, and to be alone in the desert. God saw the ABUSE Hagar had taken in the past, he pinpointed her exact position in the present, and he saw the future that he held for her. God knows your past violations, he knows what you are going through now, and he knows the great blessing he has in store for you. God is always working out His plan for your FUTURE. God is always extending a helping hand to guide you through the tough times. You might feel that your spouse is not doing enough for you and doesn’t even care to be SENSITIVE to what you are going through. Don’t resent your spouse; He is not God. Let the LORD be your “home security camera”. Your spouse is not EL ROI, who sees you. Let’s give our spouse a break and turn to the God who sees us.